The latest U.S. Census Bureau statistics show that people are moving into urban areas. And, except for New York City, the 15 urban areas experiencing the largest growth are in the southern and western parts of the country. 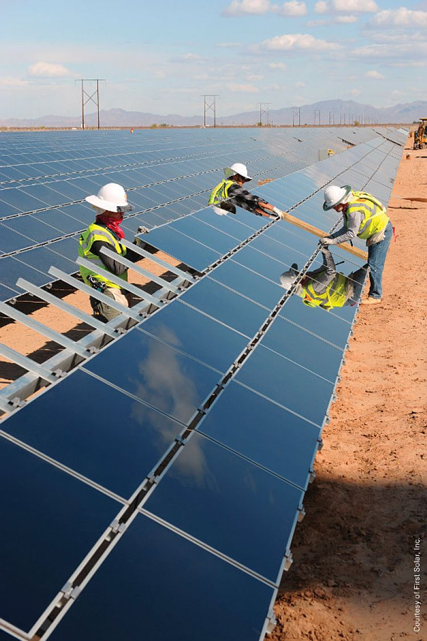 They are not flocking to these cities because there is some big draw from solar power. But they are flocking to them because these cities are all offering environmentally-friendly and healthier lifestyles. They are called “smart cities” and the movement in the U.S. and the world is to continue to develop eco-friendly cities through technology (IoT) and through alternative renewable energy sources, especially solar. Smart cities are on the rise, because the pressure is on, and the advent of solar power has been a part of this pressure. Reducing energy consumption on the part of entire communities is on the rise. The idea of entire cities that are programmable is no longer the fodder of science fiction or academic research papers. It is a reality.